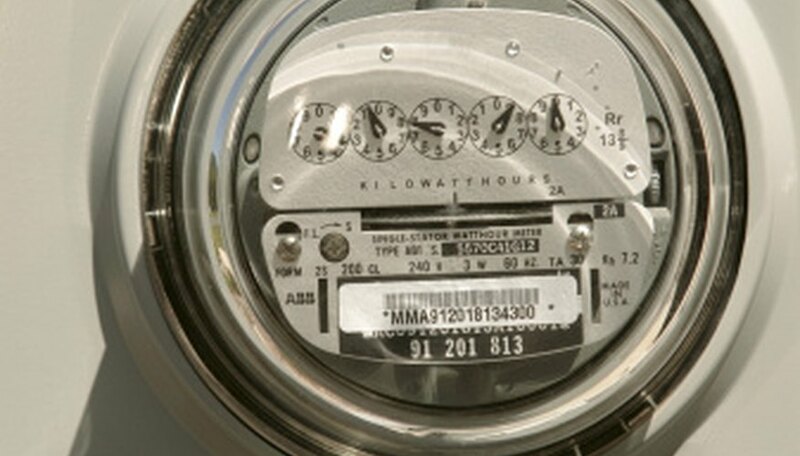 Utility companies charge per kilowatt hour or KWh. However, the electrical system in your home represents an electrical load to the utility company and that load is a drag on the total power delivered to your home by the utility company. This means the utility company must deliver enough power to account for the power drag so that they can deliver you the kWh you need. This drag is called a power factor, or pf, where, the lower your power factor, the more total power the utility company must deliver to meet your needs. The total power delivered is in units Kilovolt-amperes or "KVA' and you will need your pf to determine the KVA from the KWh on your electrical bill. 2) The hours represented by that bill, or "h." Find the number of days between electric meter reading and convert the days into hours. 3) The power factor, or pf. The utility assigns you a power factor between 0 and 1 depending the electrical systems you run in your home. If you can't find the pf on your electrical bill, contact your utility company. As an example, assume your bill reflects 600KWh, 216 hours of usage per month and the power factor of 0.75. Chestnut, Dwight. "How to Calculate KVA From The Electric Bill." Sciencing, https://sciencing.com/how-8466219-calculate-kva-electric-bill.html. 07 August 2017.